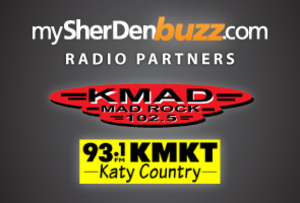 We are happy to announce that Matt Thomas, with Sherman Bearcats radio, and Lynn Burkhead, with the Denison Yellow Jackets broadcast, will produce a weekly blog throughout the 2010 season right here on mySherDenBuzz! Matt is the statistician for the SHS broadcast team. He will follow the Bearcats for mySherDenBuzz by posting his thoughts and observations on each and every Sherman game in '10. Lynn, the longtime Yellow Jacket play-by-play voice, will do the same for Denison games. Be looking for their weekly blog updates on Saturday, following the game on Friday night. They'll take an in-depth look at what stood out in the win or loss, key players on both sides of the football, emerging stars for each team and much, much more! Listen to Yellow Jackets Football all season long on Katy Country, 93.1 FM (931KMKT.com). Listen to Bearcats Football on Mad Rock, 102.5 FM (MadRock1025.com).